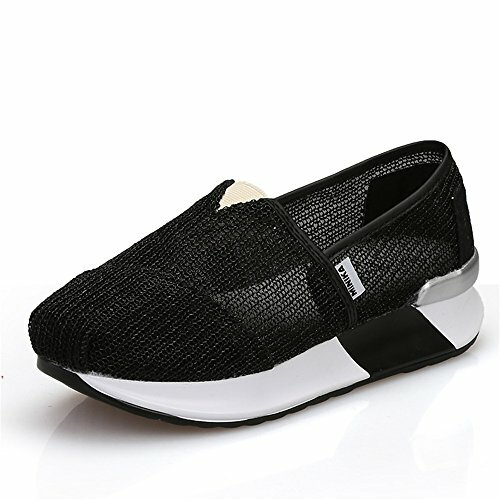 Our shoe is well versed in today's trends and vogues to always create new, edgy, stylish, and fashion forward designs-Trendy fashion sneakers. You can wear these shoes in Spring,summer,autumn and winter . 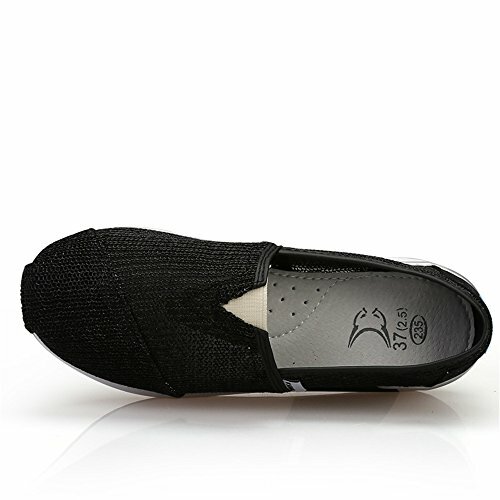 These shoes are very comfortable,lightweight and distinctive look. 35/4 B(M) US Women = Shoes length 22.5cm/8.85"
36/5 B(M) US Women = Shoes length 23cm/9.06"
37/6 B(M) US Women = Shoes length 23.5cm/9.25"
38/7 B(M) US Women = Shoes length 24cm/9.45"
39/8 B(M) US Women = Shoes length 24.5cm/9.65"
40/9 B(M) US Women = Shoes length 25cm/9.84"
Super light and flexible PU sole with cushion,it is helpful for keeping a perfect figure,perfect for fitness,sports,athletic,walking,traveling,work out,exercise,toning ect Arc bottom design, can Exercise more muscles when you walking, shape your nice body Comfortable - Great for outdoor walking,sturdy and comfy.Outdoor running walking breathable & lightweight comfortable footwear training shoe. 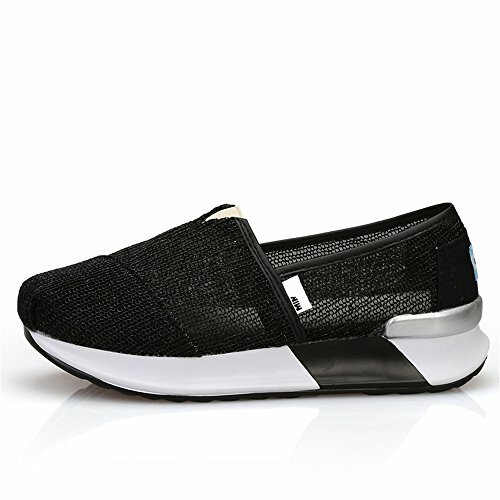 The walking shoes for stress on joints, improved posture, anti-skid light, best gift for Mother or wife, applications: Walking, Casual, Travel, Outdoor, Office, Jogging The slip on platform sneakers is design for ladies who enjoy working out,fitness,toning,exercise. 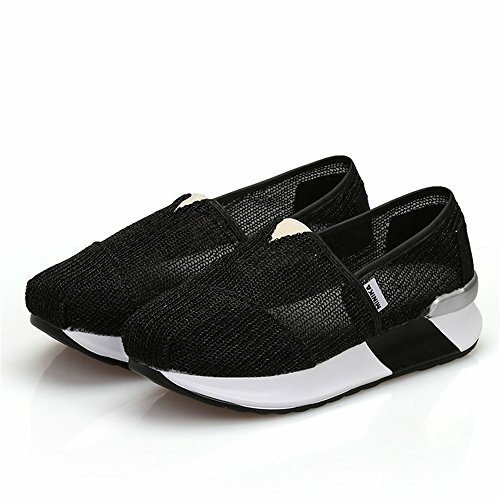 Special mesh or synthetic upper for choose,brief solid color designs,The slip on platform shoes for all occasion,it can match with dress,jean,pants,shorts ect.No matter walking,fitness,toning,exercise,shopping,walking,you can always keep fashional and relex.